20th Century Fox-based production company New Regency has partnered with the Mark Gordon Company to adapt Voltron: Defender of the Universe into a possible franchise. Producer Mark Gordon has been developing the film, based on the popular 1980s Japanese animated TV series, comic books and toy line, for some time with Justin Marks writing the script. But interest in the property hit a high after Transformers turned into a box office juggernaut, raking in nearly $300 million to date. Marks' take is described as a post-apocalyptic tale of survival set in New York City and Mexico. 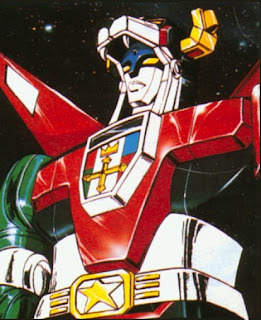 In the animated series, five Galaxy Alliance pilots control vehicles shaped like lions that combine and form the massive sword-wielding Voltron robot in order to battle an evil menace. Gordon is producing with Lawrence Inglee and Jordan Wynn shepherding the project. Mark Costa and Ford Oelman are executive producers. Marks is also adapting He-Man and the Masters of the Universe for Joel Silver at Warner Bros., as well as the Green Arrow pic Supermax, also at the studio. Marks also has Street Fighter in the works at Hyde Park and Fox.